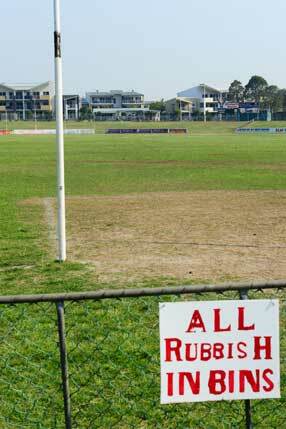 Sandgate footy club is hallowed turf for Haiku Bob. Firstly, it is the club Alex Jesaulenko spent his last years of playing footy, captain-coaching them in 1983-84 and leading them from the wooden spoon to the finals in his first year. 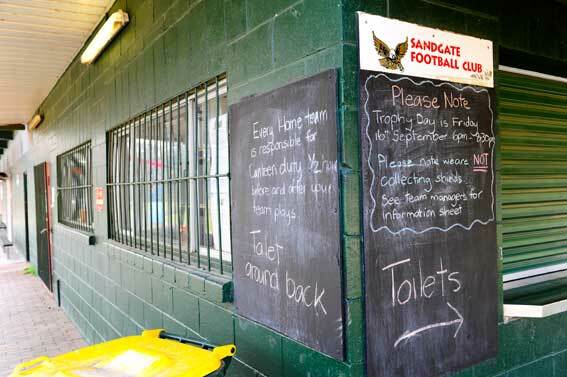 I recall watching Sandgate play their losing elimination final at the Mayne footy club in his first year. I jumped the fence at three-quarter-time to listen to his address. They trailed by five goals and I was full of anticipation as I jockeyed for a position in the huddle within earshot. 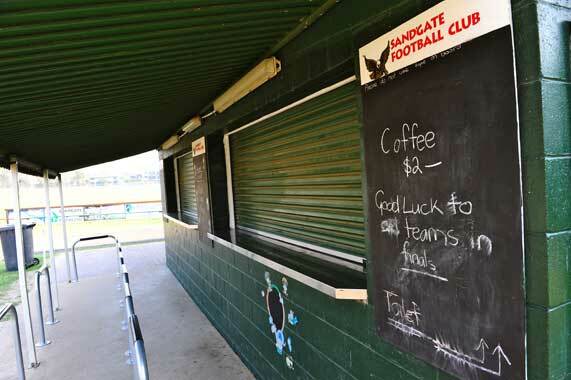 Jezza stomped around the huddle, chewing on his gnarly mouthguard and carrying his plastic cup of Cottees orange juice before uttering the immortal words…’you blokes got yourself into this…now get yourself out of it!’ They lost by 10 goals. 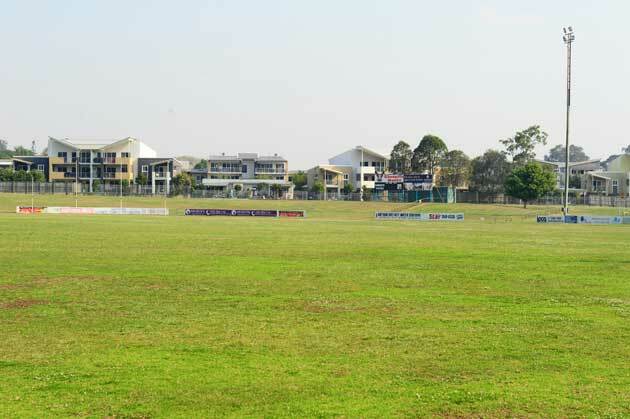 Secondly, it is the ground on which Haiku Bob ‘came of age’ as a junior footballer, playing a starring role on the wing in the drawn second-semi final and second-semi final replay in the 1981 under 14s, catching the attention of local talent scouts who would select him to play for Queensland in the under 15 championship the following year! 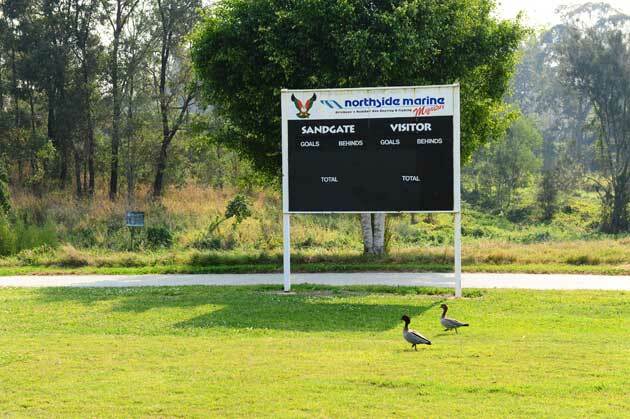 •These recollections of Sandgate from Haiku Bob came after we asked for information about the footy scoreboards photographed by Michael Wearne during a trip around Australia. The haiku was written especially for scoreboardpressure. 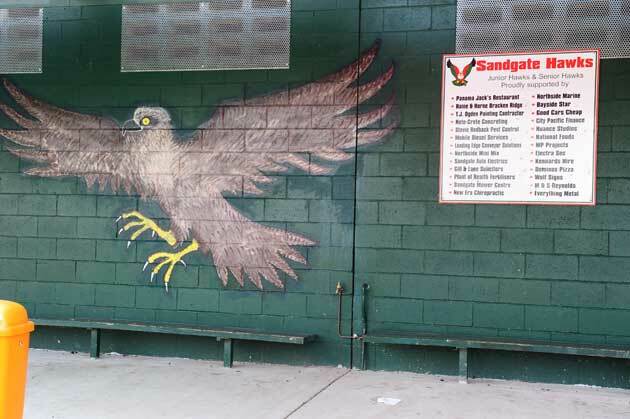 Sandgate Football Club have been around since 1943 and have won six QAFL premierships. A notable product in 2003 Brisbane premiership player Jamie Charman. You can read more of Haiku Bob’s haiku at The Footy Almanac.